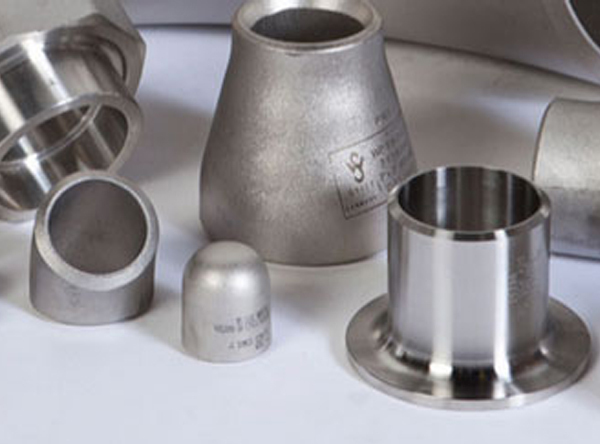 Haynes 25 Pipe Fittings, Haynes 25 Forged Pipe Fittings, Forged Fittings Haynes 25, Haynes 25 Alloy Buttweld Fittings, Haynes 25(UNS R30605) L605 Forged Pipe Fittings, Manufacturer, Exporter, Supplier, Mumbai, India. HAYNES® 25 alloy (UNS R30605) is a cobalt-nickel- chromium-tungsten alloy that combines excellent high-temperature strength with good resistance to oxidizing environments up to 1800°F (980°C) for prolonged exposures, and excellent resistance to sulfidation. It can be fabricated and formed by conventional techniques, and has been used for cast components. Other attractive features include excellent resistance to metal galling. Haynes 25™ alloy is the strongest of all the fabricable cobalt alloys. It has an excellent temperature strength and oxidation resistance to 2000 °F. However, Haynes 25™ cobalt alloy is hot formable between 1900 ≥F- 2300 °F. In addition, it is better to cold-work alloy L605 for bending, spinning and drawing component processes. HAYNES® 25 alloy has good forming and welding characteristics. It may be forged or otherwise hot-worked, providing that it is held at 2200°F (1205°C) for a time sufficient to bring the entire piece to temperature. The alloy has good ductility, and thus also may be formed by cold working. The alloy does work-harden very rapidly, however, so frequent intermediate annealing treatments will be needed for complex component forming operations. All hot- or cold-worked parts should be annealed and rapidly cooled in order to restore the best balance of properties. The alloy can be welded by both manual and automatic welding methods, including gas tungsten arc (GTAW), gas metal arc (GMAW), shielded metal arc, electron beam and resistance welding. It exhibits good restraint welding characteristics. HAYNES® 25 alloy combines properties which make it suitable for a number of component applications in the aerospace industry, including parts in established military and commercial gas turbine engines. In modern engines, it has largely been replaced by newer materials such as HAYNES® 188 alloy, and, most recently, 230® alloy, which possess improved properties. Another area of significant usage for 25 alloy is as a bearing material, for both balls and races.